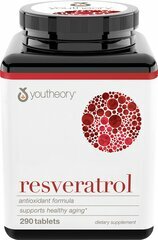 Resveratrol: An active polyphenol found in the skins, seeds and stems of grapes, has been proven in studies to be the element in red wine which increases cellular productivity and longevity, leading to a longer and healthier life. 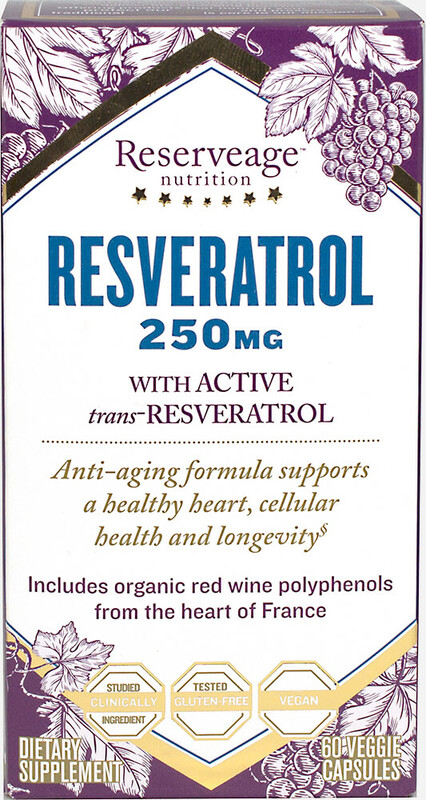 With ReserveAge, you can enjoy all the health benefits of red wine - without the adverse effects of alcohol! Does Not Contain: corn, soy, wheat, lactose, citrus, milk, egg & fish products, sugar, starch, artificial coloring, flavoring, or preservatives added. Components in this product are derived from natural sources. Allergen free of yeast.